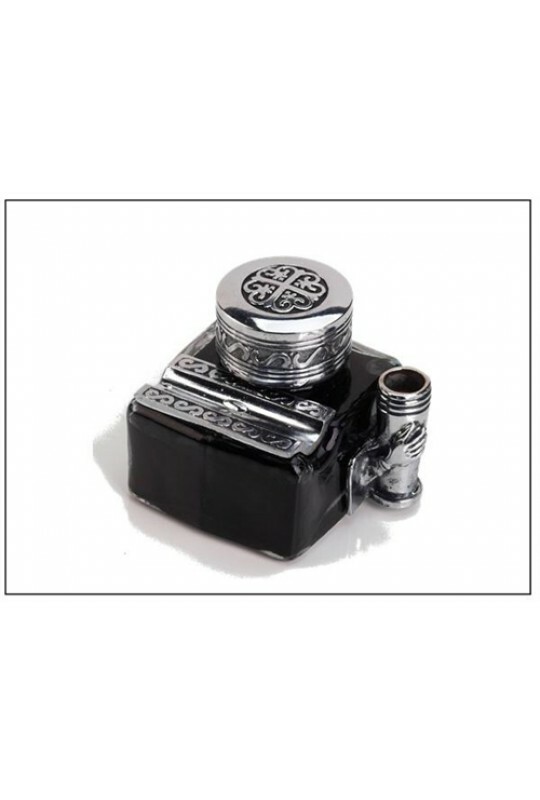 Glass Inkwell with Decorated Metal screw-on Lid and two spaces for your pen to rest! This elegant desktop accessory comes filled with a full 1.75 ozs. 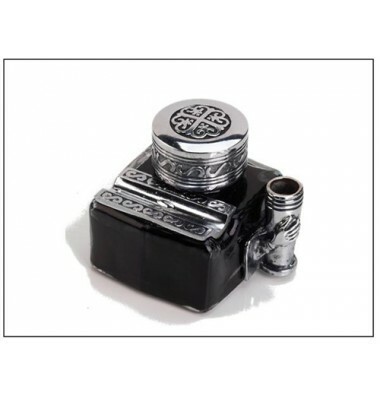 of Black Quality Ink (water-based) to make writing a pure pleasure!